Good news! 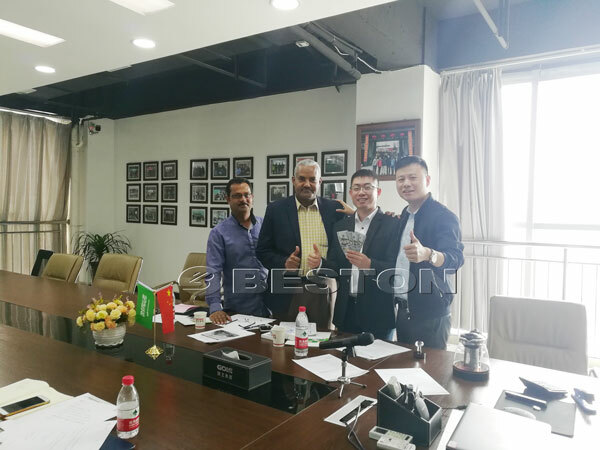 The Saudi Arabia paid the deposit of BTF-5-8 egg tray making machine after visiting our office and factory. 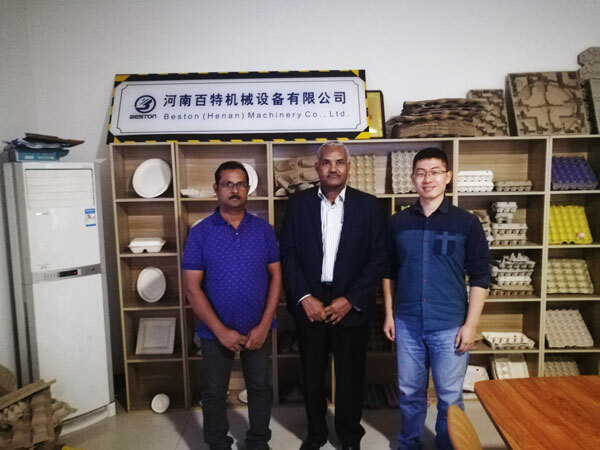 During visiting, we showed the customer a set of running egg tray making machine that has been working for 8 years. 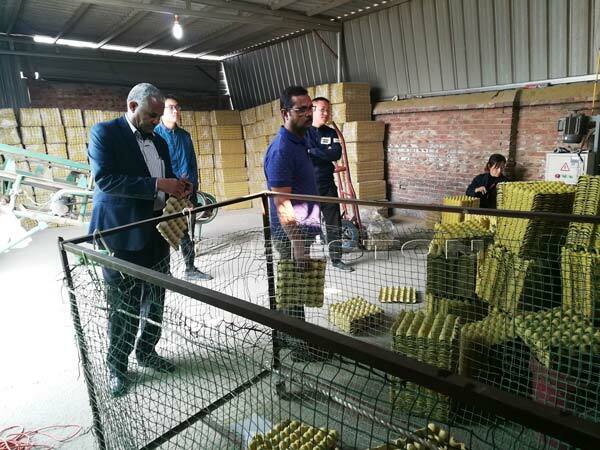 And customer checked the quality of paper egg trays. Through seeing the running machine, customer had more confidence in our machine. Therefore, he paid the deposit right away. 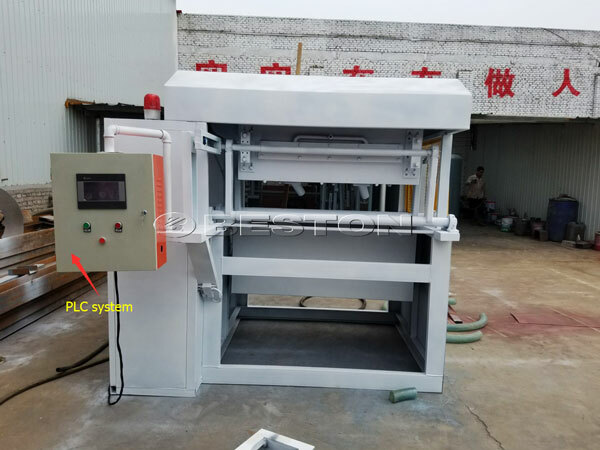 According to customer’s demand, we introduced the difference between brick drying line and metal drying line. 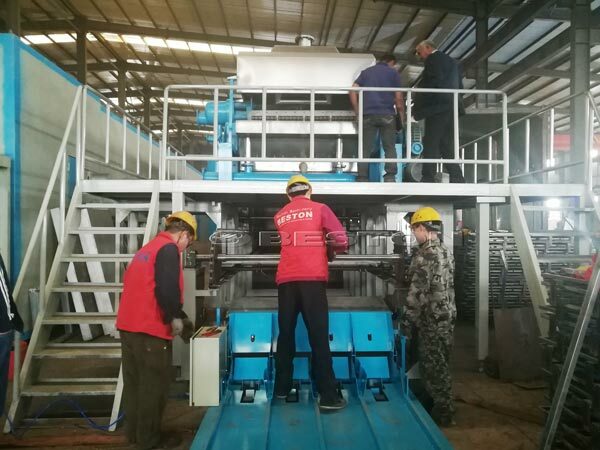 The customer decided to purchase the BTF-5-8 egg tray making machine with metal drying line. Meanwhile, he wanted to purchase extra vulnerable parts from us, such as a set of screw air compressor and a set of vacuum pump. 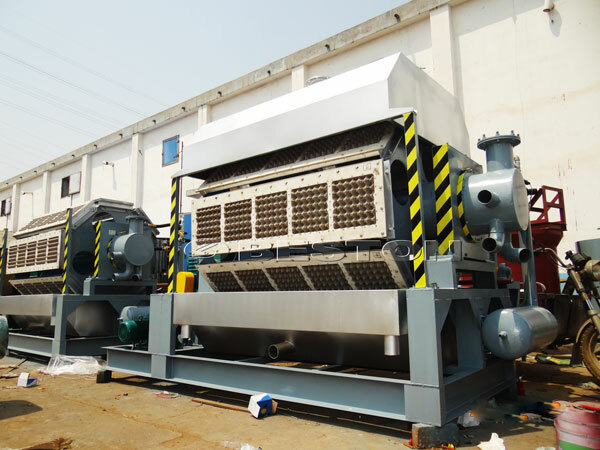 BTF-5-8 egg tray making machine can make 5000-7000pcs paper egg trays per hour. The fuel of the metal drying line can be diesel and natural gas. The Saudi Arabia customer would choose the diesel as fuel. 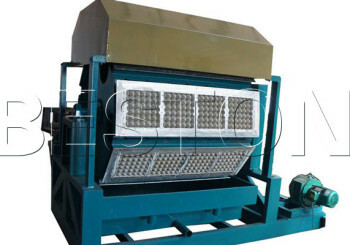 BTF-5-8 machine with metal drying line is a kind of automatic egg tray machinery. You also can choose the 1000pcs, 1500pcs, 2000pcs, 2500pcs, 3000-5000pcs egg tray machine from we Beston Machinery. If you are interested, contact us now!